The Kwara state chapter of All Progressives Congress has described ban on political possessions and street rallies by the Peoples Democratic Party controlled State government as absurdity and clampdown on the party. 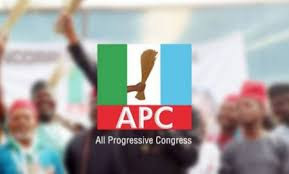 Kwara APC in a statement issued on Wednesday by its Spokesman, Alhaji Tajudeen Folaranmi Aro said the state government out to be neutral and fortify security architecture instead of banning political possessions. APC added that the PDP led Kwara State Government is threatened and jittery at the effrontery of the APC to go the streets to enlighten the people on the inaction of the government. They therefore call on the Federal Government to see Kwara as a state deserving security emergency rather than the ban on political rallies and processions. The broadcast by Governor Abdulfatah Ahmed which tends to prevent a reoccurrence of the political violence in a laughable art of governance through the ban on street rallies and political processions is baffling, considering the fact that election is fast approaching and political rallies and procession are vital in political reawakening. Without an iota of doubt, last Sunday’s attack on the supporters of All Progressives Congress (APC) rank among the worst form of political violence in Kwara State, second only to the insane genocide of the 2003 carried out by this same political dynasty. The Kwara State Government is threatened and jittery at the effrontery of the APC to go the streets to enlighten the people on the inaction of the government. This clampdown is a naive attempt to curtail our party, the APC, from spreading the gospel of change. How preemptive is this laughable initiative at curbing political violence ? The failed political dynasty is increasingly embarrassed with the street acceptance of the APC which punctures their claims of majority status in the state. Let the wise look at this ban from the religious prism of the two women who were quarrelling over a child and the one who submitted that the child in dispute should be cut into two. Leaders who encourage violence and killing of those they want to govern should take a cue from this religious allusion. The 2003 example of how foreigners, who wore vests with Up Lawal inscription, mingled with Lawal’s supporters to get close to him in a failed assassination attempt is still fresh in our memory. This led to the arrest of the British nationals alleged to be in the employ of this same political dynasty threatening the peace of the state. Rather than resort to this ban, the security architecture of the state should be fortified, while the state government should be neutral in the collective pursuit of peace. Less than 37 days to the general election, it would be preposterous to put one’s fate in a government that is desperate in pursuit of power. There is no emergency to warrant this ban on rallies and procession, except the governor is suggesting for a state of emergency in Kwara. A state of emergency would have been more apt if the State Government by error of commission or omission agree that they are unable to bell the cat of a continued upsurge in violence. We call on the Federal Government to see Kwara as a state deserving security emergency rather than the present clampdown with the ban on political rallies and processions. The resilient people of Kwara State would ultimately work towards ensuring that the liberation train is not derailed. The “O to ge,” philosophy is a moving train and kwarans shall put an end to bad governance in the upcoming elections.